Lately I've been thinking a lot (more than usual) about being elsewhere, but I cleaned up my room this weekend and am feeling better about spending time where I am until the end of the summer. Even if I'm in a slump and haven't been writing or drawing or taking pictures I'm pleased with, at least I have my personal space as an extension of the way I want things to look. Since childhood I've been somewhat obsessed with surrounding myself with decoration and garnishes of any sort, and am completely guilty of taking comfort in my possessions (though to be fair we're talking cat masks and a staggering surplus of hair bows here, not luxury vehicles). Wow is this your room?? It's AMAZING! This is my first time on your blog and what a lovely post to begin on :) Your wardrobe looks stunning too. I love that feeling after you clean and possibilities suddenly expand. Very lovely dresses! Nice blog you got here.. and your artifacts are dreamy! I identify with you on being little and getting lost in setting up your artifacts a certain way. I still do this as well. Surrounding yourself with your treasures, creating daydreams and a space to be inspired in. Is this that special place? It is beaaautiful. Love the dresses on the wall. Your room is so pretty and inspirational - well jealous! THAT dress on your wall. 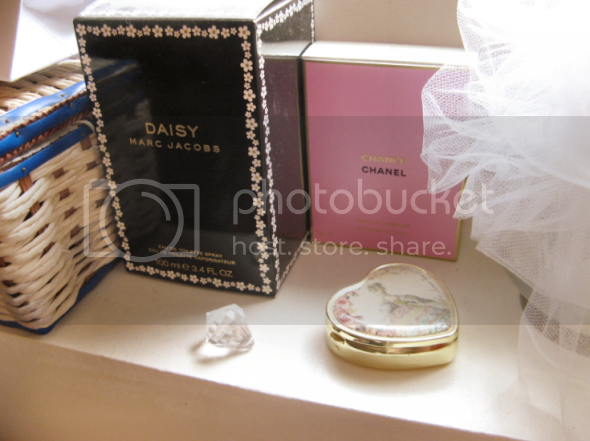 your room is lovely <3 && chance smells sooo good, i want a bottle of it too~! 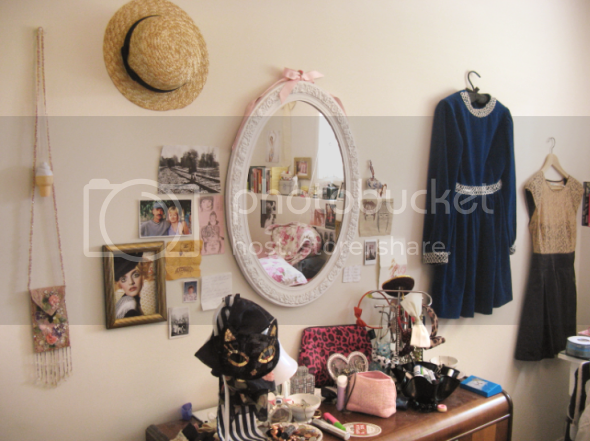 I love how you've displayed some of your favourite dresses on the walls, plus all the bits and bobs! And i'm sure i'm not the only one who'd like to rifle through that tantalizing closet! Your room looks so lovely! 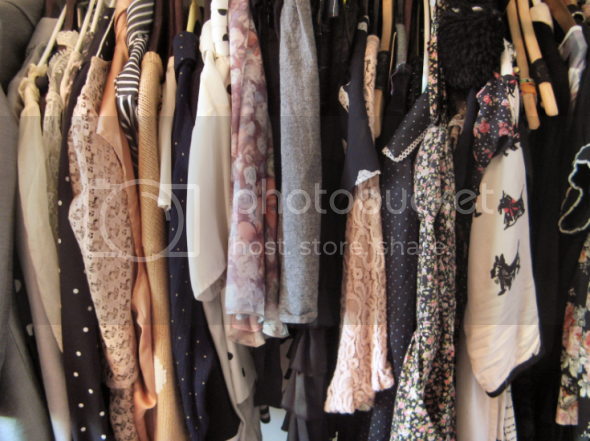 I really like hanging dresses like pictures on the wall! Incredible. Loving the magic tree and can I please steal your wardrobe? Best colour palette. Aaahhh your room so serene and dreamy! it looks like a great place to get creative. Love it. I agree, definitely need space to get away and be somewhere else other than in your own head! So much girly goodness, I love it! ow i like your room! Oh your room is so pretty! Love your blog O_O !